I hope everyone’s week is off to a fantastic start! I am in the process of planning my husband’s 30th BIRTHDAY party this week! Birthday’s are a BIG deal to me. I feel like everyone needs a day to be honored and celebrated. and 3. I have been waiting for an opportunity to host one of these parties…. I am planning a BIG Murder Mystery Dinner Party! Have you ever done one of those?! I hear they are pretty awesome! This is my first one (and I am hosting it) and I can’t wait! Question for you. I am putting the dinner menu together and can’t decide. Would you go with themed food? or the Birthday Boy’s favorites? I need opinions. Also, any advice for me as the hostess?! 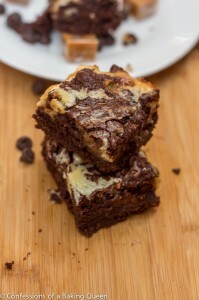 Also, Have you entered to win a trip to the Duncan Hines Test Kitchen with me?! If not, go enter! It is going to be an absolute blast! While you are thinking of your opinions/answers, lets begin the party shall we?! Thanks for hosting. I linked up my super easy crock pot chicken recipe that I had mentioned on another post. I really hope you try it because I think you will love it. It is number 11. Thanks so much for hosting! We went to a murder mystery party for my Aunt and it was fun! We had themed food which went with the event, but I think whatever you think would be most special to your husband would be the best! Thanks for hosting! Hope your party is a huge success! I so agree that birthdays are huge!! :) Happy Birthday to him! Thanks for the party Nikki! Sounds like a fantastic party - have a great time! Thanks so much for hosting the party! Happy Birthday to your husband! I think that birthdays are big and should be celebrated. When I was in college my friend and I hosted a murder mystery party, it was so much fun! I think you should go with your husband's favorite dishes or you could do a combination of his favorites with the theme. I hope you have a great party! Birthdays are a big deal and I'm sure this birthday will be fantastic - has to be better than last year! Thanks so much for hosting Nikki! The dinner mystery sounds like a fantastic idea! Good luck! Happy Bday to your hubs and so sweet of you to go to all the work to plan something amazing for him! As always, thanks for hosting this linkup party, Nikki! This is my first week linking up!! Thanks a bunch!! Thank you for hosting! Blessings to you! Hi Nikki! Thanks for hosting! I agree, a 30th Birthday is a big one. I love your murder mystery theme idea! And I think you should go with his favorite dishes! (which is probably going to be hard to narrow down with you as his wife/personal chef, lol!) I bet it's going to be the party of the century! Good luck! Post pics for all of us to see afterwards! Have a good one! Hi. Love your site but I'm wondering if you can help me. I don't know how to get rid of that floating survey thing. I have had to just click on it and go to the site to get rid of it. I am not very computer literate. I do have my setting to get rid of popups but it isn't getting rid of this. Thanks. Happy B-day to your husband! You are one nice wife! Have a great party and thanks for the party! Thanks for hosting. So excited for you. We did a murder mystery party years ago for a Halloween party. It was the best party ever! It really is dependent on how much your guests will get into it. We did go theme food but I strongly suggest you have food that can be ready before hand. That way if need to be you can help keep the murder mystery going and kind of show your guests the way to do it. Go over the top! It will be a blast. I cannot wait to read about it. 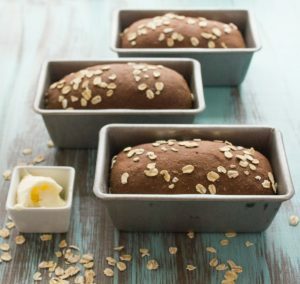 I am sharing some important info about a blogging event: Food Bloggers Against Hunger. I hope you'll help spread the word. Thanks. I held a themed murder mystery dinner party and we went with themed food. My guests dressed for their parts and, I think, having the themed food just added to the ambience of the party. They are so much fun! I hope you and your husband have a great time! Thanks for hosting another great party Nikki! So fun that you are doing a murder mystery dinner. If it was me throwing the party I would do my husbands favorite foods, after all it's his day right? I have hosted 3 of those murder mystery dinners and my advice is to be as organized as possible before guests arrive! You will be so much less stressed if you have everything for the game ready. Also don't worry if the game doesn't go off exactly as it is supposed to, sometimes the funniest things happen that way. Have fun! Hi Nikki! 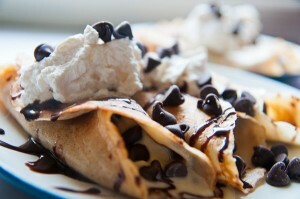 Thanks for featuring my cannoli crepes! This made my day (I'm kind of a newbie to this blogging stuff- so this definitely made me do a happy dance)! The 30th is a biggie! My hub's had his last year and oh my, figuring out how we were going to celebrate was a challenge. It ended up involving an epic 30 scoop ice cream sundae. I LOVE your idea for a murder mystery party. I would absolutely do themed food because it's so much fun, unless your hubby has a favorite. Then that might have to overrule. Happy birthday to him! 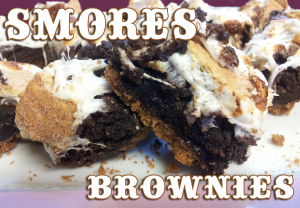 Thanks so much for including my S'Mores Brownies!! As a newbie in the blog world, it truly is an honor to be on your site!! Hope you all enjoy them as much as my fam does! Thanks soooo much for hosting! There are some great posts this week. Holy crap! THIRTY? My daughter just turned 30 last Friday. You are making me feel old girlfriend! :) I love the idea of a theme, but I also think if you're holding it because of your husband's birthday, then I would go with his favorites. But perhaps some of those favorites could fit under the theme? Maybe do a smattering of both? Thanks for hosting this linky party! I'll be back soon. Nikki, thanks for hosting a amazing party! I linked up some Peanut Butter Buttermilk Pancakes for all the PB Lovers! (#315) Can't wait to check out all the other links to see what everyone's been up to! I say go with the themed meal. It's just going to make the whole event more memorable! You can always cook his favorite foods, and I'm sure you do, so why not keep the whole party theme going!?! I can't wait to see what you end up doing! I am sure it will be a blow out! Hope your husband has a great birthday. I think whatever you serve it will be fantastic..
dude! so excited for you both! i'm sure you'll be a great hostess! only advice: don't let people's drinks go dry. always refill them or grab them another when you see their drink is getting low. it's a small thing, but makes people feel valued and important. not to mention drunk. 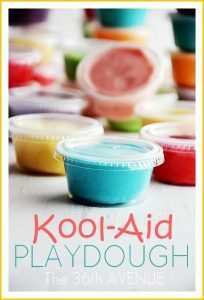 also, i've got my linky party - The Wednesday Fresh Foods Link Up - up and running. Everyone is welcome, I hope to see you there! Thank you for hosting, Nikki! 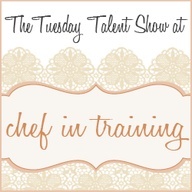 If you haven't already done so, please come join my How-To Tuesday link party. It would be great to have you join!